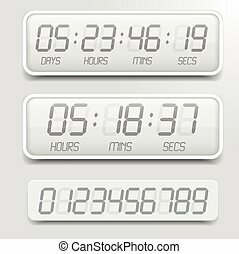 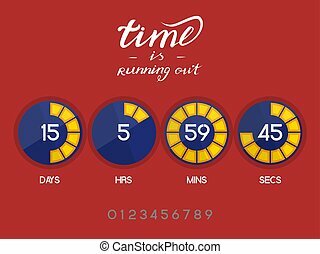 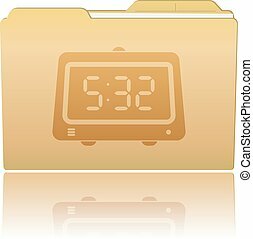 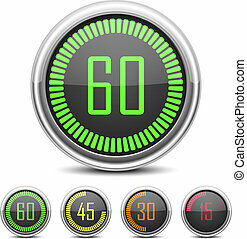 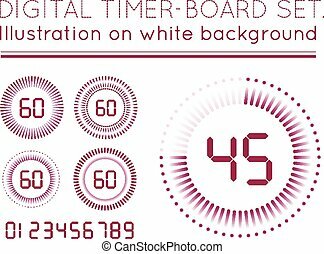 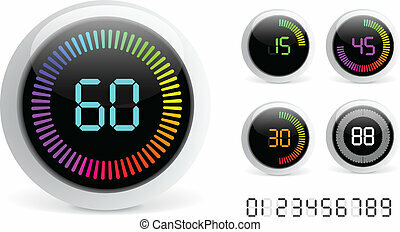 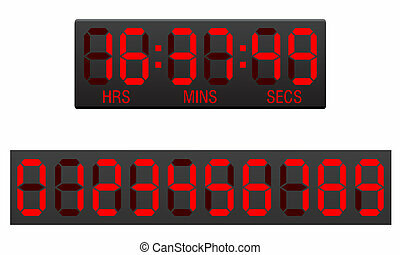 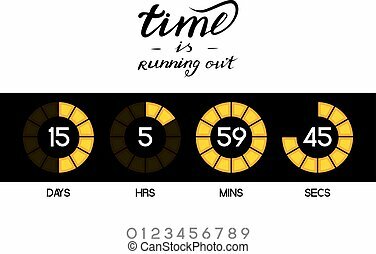 Digital countdown timer with five minutes interval. 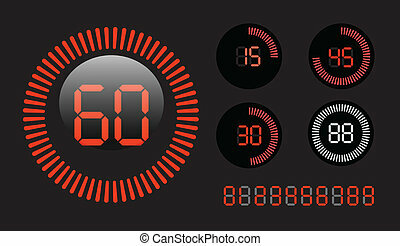 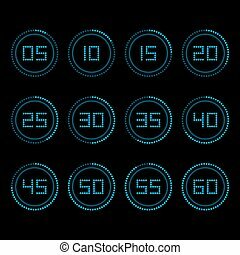 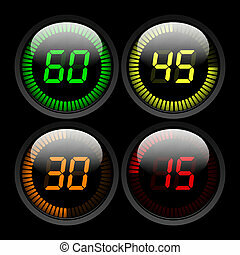 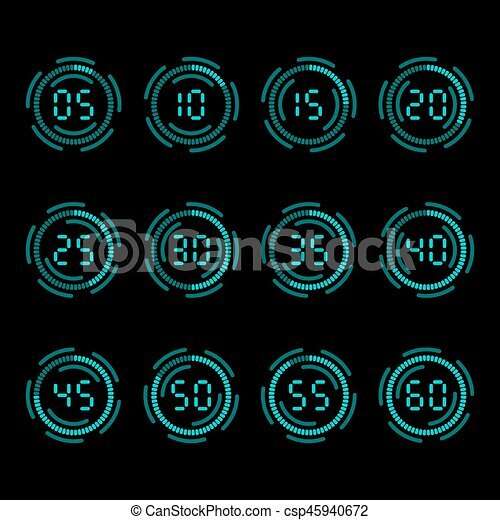 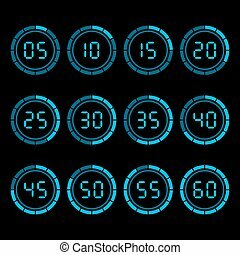 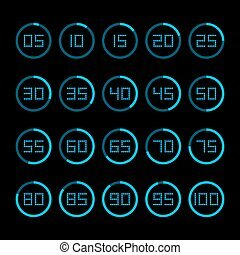 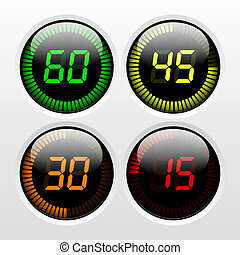 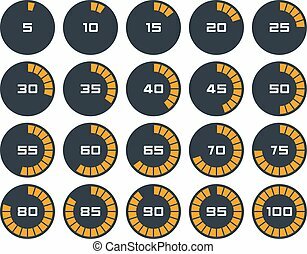 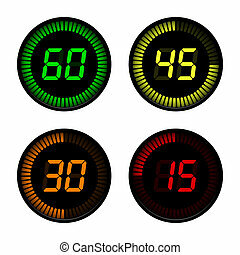 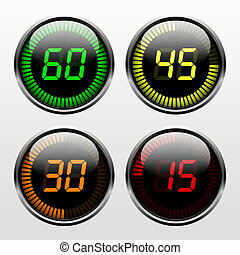 Countdown pie indicators. 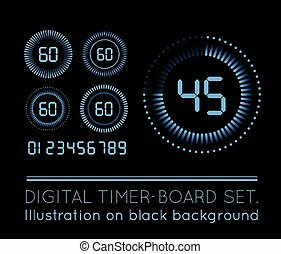 Vector infographic design element set.